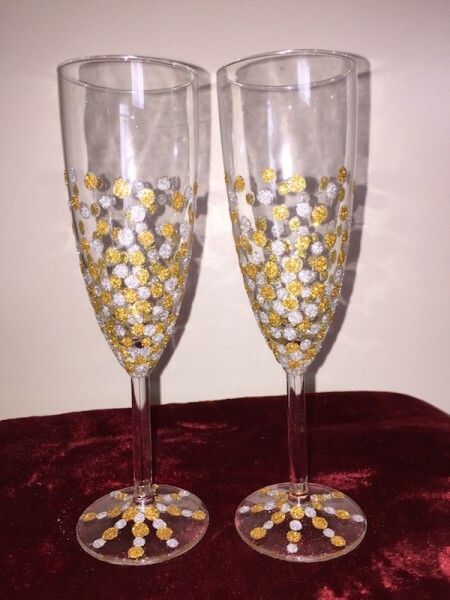 Gold and Silver dot glitter toasting flutes. 5 oz. glasses sold as set of two. Hand wash only.